Love it!! Yuri all arounddd hoping next time its nsfw! Once again, thank you for this wonderful treat. 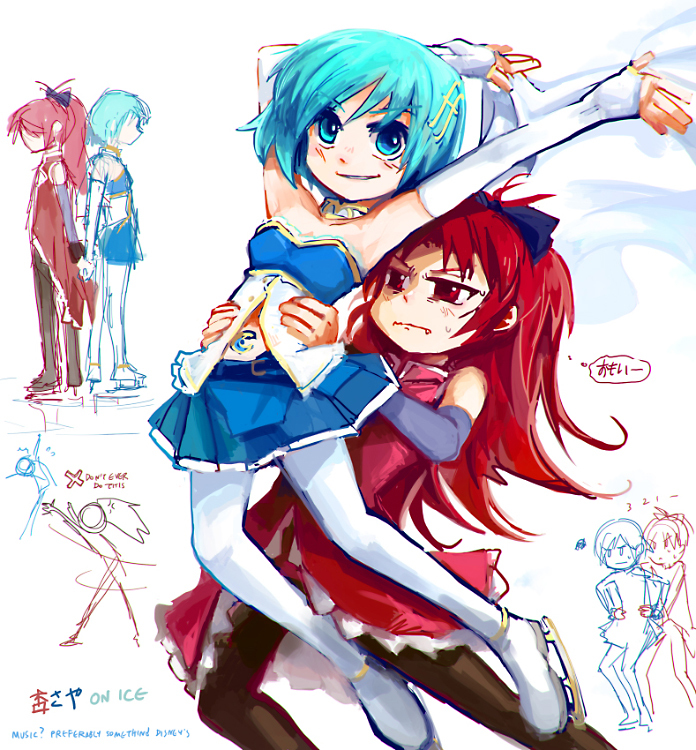 More KyouSaya is always strongly appreciated. Hope there’s more of them to come. Without the twist I think I would’ve hated it. The first time I saw Rebellion it was a camrip with a bad sub, and I came away from it surprised by how blatant the Mado-Homu yuri was. When I saw the official sub I felt like the Madoka-Homura relationship came off as more platonic and the Kyouko-Sayaka relationship was much more romantic. Regardless, what a great movie. I can’t give it higher praise than to say that before I watched it I didn’t think Madoka needed a sequel, but after I finished it I realized I was wrong. It’s a truly worthy successor. I didn’t see MadoHomu as platonic. 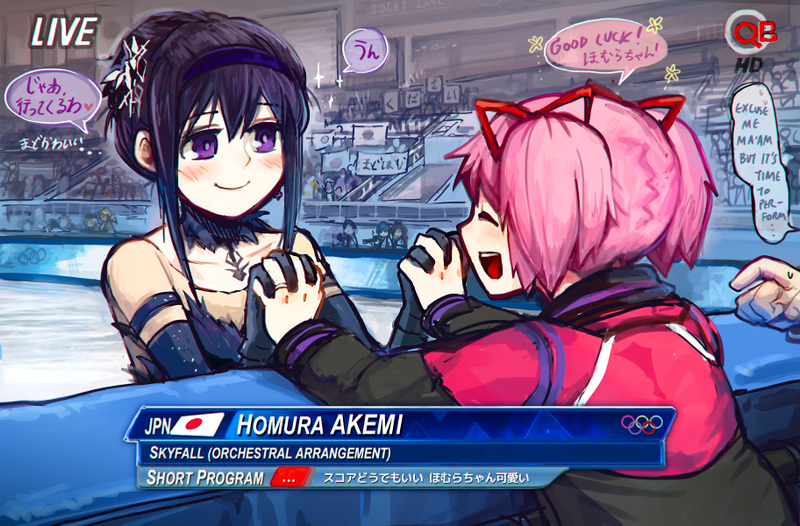 I always felt that the original ending kind of diminished all the hell Homu went through. She felt so deeply for Madoka that she couldn’t stand letting her be some isolated deity/concept off in yuri heaven and turned herself evil just for a chance to be with her in some physical form. That’s AI YO! >>Regardless, what a great movie. I can’t give it higher praise than to say that before I watched it I didn’t think Madoka needed a sequel, but after I finished it I realized I was wrong. Those are/were my feelings exactly. I don’t get why anyone who was an actual fan of the series would dislike Rebellion. I thought it was incredibly creative, had beautiful artwork and honest to goodness yuri! I guess the music wasn’t quite as amazing, and if you treat it as a stand alone then too much is left unresolved. But other than that I loved it! Oh and thanks for the cute KyoSaya!! !